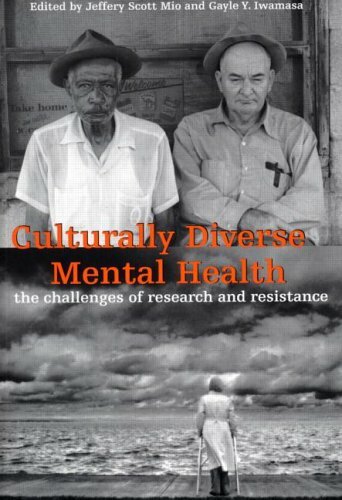 The most comprehensive book on the topic of multicultural mental health, Culturally Diverse Mental Health addresses the challenge of counseling diverse populations including multiracial, homosexual, geriatric, and disabled individuals. Because many clients of diverse backgrounds have entered therapy in the last two decades, old models of treatment based on the mainstream majority no longer apply. This book compiles the latest research on a widely diverse number of populations and addresses the issue of resistance to the need to modify old practices to apply to these populations. Sociology Department at California State Polytechnic University, Ponoma. Dr. Barker is a licensed clinical psychologist and also works part-time as the Administrative Director of the Cal Poly Pomona, Ennis W. Cosby, Child and Family Services Friendmobile. Dr. Barker received her Ph.D. in clinical psychology from UCLA. Jaydee Santos Tumambing graduated from California State Polytechnic University, Ponoma, in 2003 with her M.S. in Psychology, specializing in Marriage and Family Therapy. She is now in private practice in the Los Angeles area. Resistance to Multiculturalism: The "Indian Problem"